Home » Blog » What is a Degree Apprenticeship? There is now a new form of apprenticeship being offered by some universities. Called a degree apprenticeship. This gives you the chance to combine working with studying towards a full degree. Degree apprenticeships are new series of programmes developed in tandem by universities, employers and professional bodies. To complete a degree apprenticeship a candidate will be required to study at university part time. Alongside gaining working experience in a role with an employer. How time is spent at university will be dependant on the employer. They are able to pick a schedule which suits them. This can be anything from one or more days per week. To a block of time when studying takes priority over working. How does a Degree Apprenticeship Differ from a Sandwich Degree? Degree apprenticeships work in a similar way to sandwich degrees. And are actually based on their structure. However, there are a number of differences between the two. The biggest one in the eyes of the applicant will be the cost. Sandwich Degrees are paid for by the person attending the course. Whereas a degree apprenticeship is paid for by the employer. This also leads on to another difference. Apprentices are paid from the day the start the course. Not the case with sandwich degrees, were students are only paid during the placement year. So not only do applicants not take the debt away with them, but they are also able to earn a wage throughout the entirety of the course. Apprenticeships also offer the opportunity to form a long term relationship with an employer. With a Sandwich Degree you only get one year with an employer. An apprenticeship can last up to 6 years. Giving you plenty of time to build up a strong bond with your employer. In fact, retention rates for apprentices can exceed 80%. As mentioned previously, one of the main benefits of a degree apprenticeship is the cost. You get a full university qualification without having a take on any of the debt normally associated with this. You also get a wage while you are completing the course. A further benefit of an apprenticeship is that you gain workplace experience. Up on completion of your apprenticeship. You will have a number of years of experience working in the industry. This will reflect favourably on you when compared with someone who has taken a sandwich course and has one years experience. Or has completed a traditional degree and might only have a summer placement as industry experience. As you are working towards a full degree alongside employment. Degree apprenticeships can take a number of years to complete. In fact it can take as long as 6 years to earn the qualification. Do You get a Degree from an Apprenticeship? You get a full degree up on completion of this type of apprenticeship. Depending on the level of course you start, you will either earn a bachelor’s degree or masters degree. What Level is a Degree Apprenticeship? Apprenticeships are categorised by level. This means candidates are easily able to compare them with each other, and to more traditional educational methods. An apprenticeship were you work towards a bachelor’s degree is a level 6 apprenticeship. And one in which you work towards a masters degree is a level 7 apprenticeship. How do I apply for a Degree Level Apprenticeship? Degree level apprenticeships are only currently available from a small number of companies and universities. However, they were only created a couple of years ago so this number is on the increase each year. 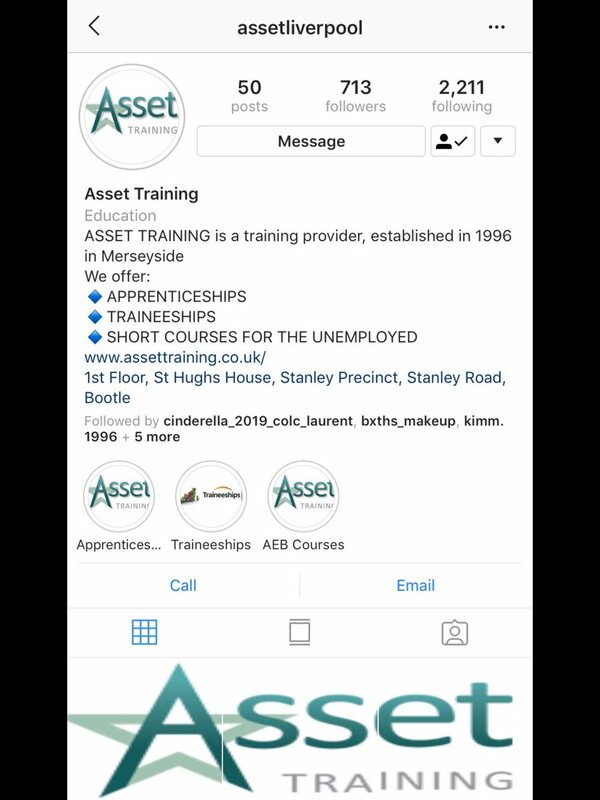 Our current vacancies page shows the apprenticeships available to apply for with Asset Training.